Finally the @teardrops SMT now ranks in the google search engine, on the very first page for the search query “teardrops“. This is a milestone and great evidence of steemit’s beauty. There are 53,900,000 and it is the 5th result…. It is now time to talk about the @teardrops token. Many things are set now and SMT is in-the-making. The community has thrived and has flourished. The teardrops has been aligning itself here on steemit for around two years already and it is now time to gather in awaitance. The @teardrops SMT ColorlessPaper has been forming ever since by means of an entire curriculum participated in by thousands of steemians, from which we have kept drawing out unadulterated feedback, valuable to our formation. Our ColorlessPaper will be out soon, written so un(dis)talentedly, that “everyone” will understand it. Too, it won’t have many pages. For among the first times, we want the token to appeal to the soft-spot of every human; held and used and treasured by every human. For among the first times, we want the digital token that enters the mainstream without any barriers not only because of its testimonial value but also because “every human” is involved. @teardrops is a breakthrough token. The result of “mining the human”. An emblem of human. The teardrops has stayed imaginary till SMT begins. In its imaginary state it has been heartily exchanged and by many. On the side, #teardrops has generated thousands of posts here on steemit. This post will give further insight into the grand picture for the @teardrops SMT. As the SMT whitepaper isn’t complete yet and the model behind SMT still in works, we have used the months to evolve our model into levels of spanlessness. This we will discuss below. The teardrops token is a breakthrough token. It represents “light inside the tunnel”. We will bring this light right inside the tunnel. We will tend to “every human” and to accomplish this, we will need to take full cognizance of the masses of populace in the tunnel. We will accomplish this not only with the existence of our token but with the ever-far-reaching value we will create, touch every nook and cranny of Mama Earth. 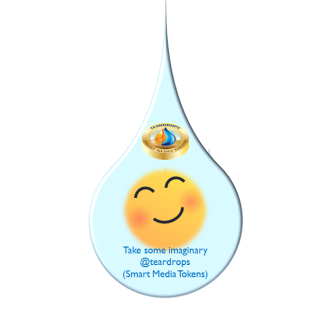 Where allowed by the Smart Media Token protocol, the @teardrops SMT will be used on all of existing and oncoming steem-based interface. For now, these platforms includes https://ulogs.org, https://steemgigs.org and Macrohard, which is underway. We will also have a game. In the midst of crypto-kitties, pokemongo etc we will have a game involving humans with the teardrops token playing role. https://ulogs.org will bring about “true celebrity-hood for “everyone”, once and for all. It is 4 web-models integrated into one, designed to “mine the human” into its awesomest version. https://ulogs.org integrates the entire enterprise model for https://surpassinggoogle.com, #teardrops and #untalented (UN(dis)Talented. Important Keynotes With Regards To The Teardrops SMT. We will not have a black or whitepaper. It will be a ColorlessPaper. Where we decide to apply an oracle, it will be an un(dis)talented oracle. We aren’t out to create “disruption”. It will be “beautiful disruptions”. Our eventual (big picture) aim; to direct or re-direct each human to our Creator Jehovah. We want to create one of the simplest-to-understand papers in existence (ColorlessPaper). We want to create more testimonial breakthroughs in “human”. We want a coin that represents this entire curriculum, for on the route to attaining the awesomest version of human (which is a gift to humanity every and each time), there will be @teardrops involved! @teardrops has a mission of explaining to the world these things as the solution to many of the world's solve-able problems lie in this sole simple knowledge and not in INTEL from Mars. We will simply create tons of awesomeness together and we will serve this awesomeness to the nations. There is beauty in the world and so much of it and even amidst the cruelty, we want to resound deeply-rooted, that shine, “light”, “good”, “love” “forgiveness” “sympathy” “selflessness” is still in-there! The very "human" is still in there. We can certainly re-tap into it! to touch the globe from its outskirts and poke it with awesome truly-happy vibes and lead people to Jehovah our Creator, who would rain on us "tears of joy". We want to create a "new breed of tears" along with the “tears of joy” that we will experience, in this nearest future that is bright. We will spread special moments and this will involve every human, for every human has had moments and have dropped tears. A major part of the whitepaper will involve “proof of tears”. I am still building on this playfully and enlisting those bizarre-looking ideas down. According to me so far, “tears are tears”. There is some “real factor” to “tears”, even with so-called “fake tears” but even if we establish that “tears are tears”, we haven’t solved “proof of tears”. With @teardrops, we intend to catch the soft-spot of every human’s heart. While most innovations of the world are designed with cognizance for millions, we target billions. Perhaps, we can get Celebrities etc to our digital currency by rewarding them for times when they have given way to tears on public media and put to some shame as a result etc. Just thinking! Look at the video above one more time and i leave it all open to your very mind’s eye. We don’t believe tears are symbols of issues but if the world thinks so, then let’s use some teardrops tokens to solve the tears. Imagine someone, who cries profusely (teardrops A) e.g because of “donkey life” and you stopped by him and say with a pat on his back: “don’t worry brother, here are some teardrops” and he is dumbstruck at this seemingly-coincidental timely act of unconventional unknown kind of love (where he is giving teardrops to fix his teardrops) and he suddenly bursts into another bout of tears (teardrops B). I tell you, teardrops B was a new breed of tears. 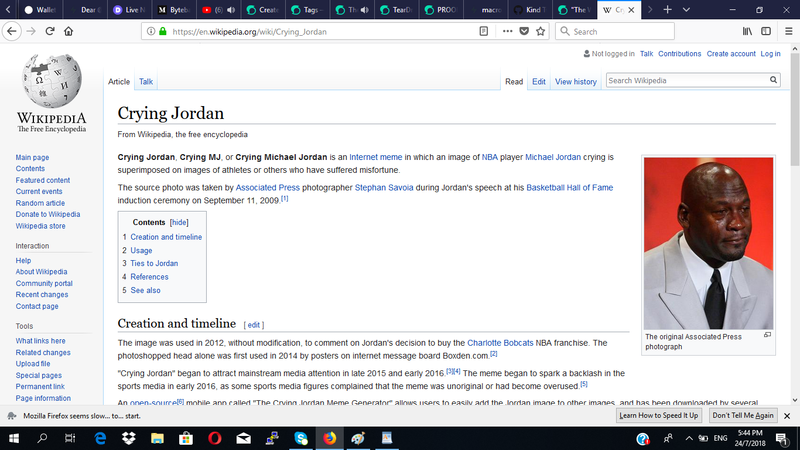 While you may hurriedly call Teardrops B "tears of joy" like even the world may, in the intense donkey life that i have done, i don’t call those tears of joy, for these are a new breed of tears. Sometimes, when you have done so-so-so much donkey life, even ordinary regular news becomes utmost jackpotty news. Infact, some people aren’t looking for lorry loads of money; their ears simply seek their very first whispers of goodnews! We just have some very illiterate knowledge in our hands that the scholars and elites of the world possess not and we will share this knowledge freely. We will go back to a new breed of “old school”. Well, “the school of life” is not in outer-space; it is in nooks and crannies of Mama Earth and you will have had to fully-provenly attend this school to create spanlessly, something like @teardrops. We are very illiterate. Very un(dis)talented. Very human: “hearts intact!”. No jokes involved. Your boy terry is a deeply-rooted constant. I am a very legit illiterate and very un(dis)talented. 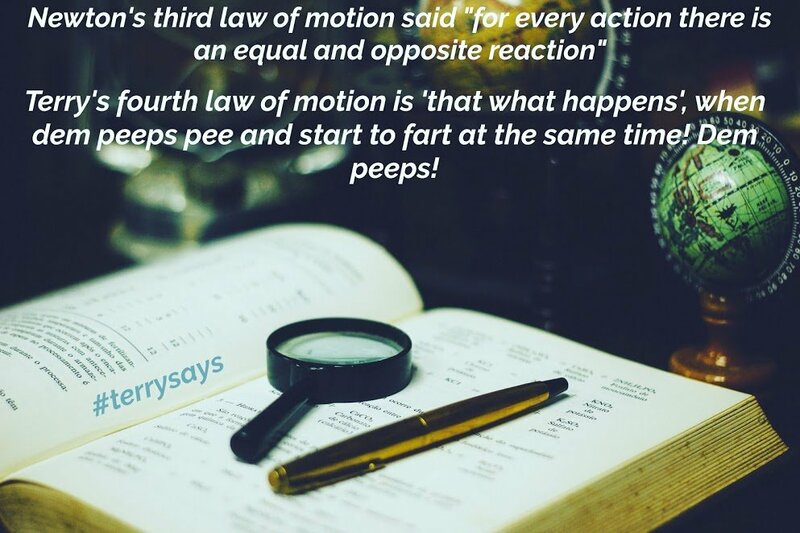 Below is my fourth law of motion. The Teardrops Smart Media Tokens Won’t Have A WhitePaper; It Will Have A Drafty Simplest-To-Understand “ColorlessPaper”! Overall, a lot of beautiful things will play out on ulogs.org and growth will be very organic born out of “serious fun” i.e fun that has “serious” coded into it i.e is directional fun. Yes, overall we will play and we will fly, shine, re-tap into lost shine, re-erupt buried shine etc, attaining “true celebrity-hood once and for all” and we will see that “light inside the tunnel”. Then, we there will be an ever-ongoing climax at the Teardrops SMT, where will reward “proof of tears”. Before i go today, i want something to stick, resound and stick a very particular word into your minds, hearts and cores and it is called, “ULOG”. Kindly, listen to this video below with love and listen to the word “ULOG” on and on and on. 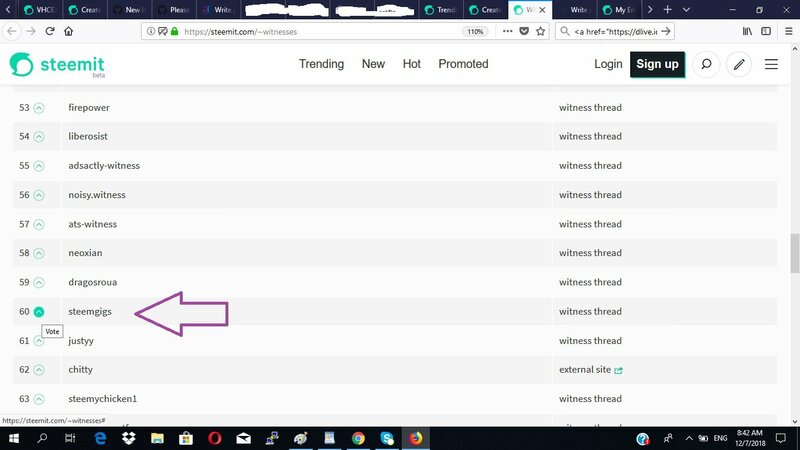 To vote my witness, simply visit https://steemit.com/~witnesses and upvote “steemgigs” or simply click Here to do it on one click!